We are starting to work on our next release. I have created a roadmap of what will be included in it. Please feel free to vote and add comments on the features you would like to see implemented next. OfficeClip has released a new Sage 50 AddIn that works with the 2018 edition of the software. It can be downloaded from the OfficeClip website. 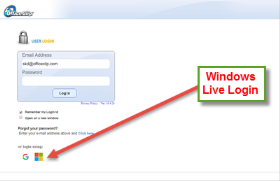 For hosted version users, it is automatically applied to the website. Installed version users can download this from our download page. We have just released a new version of OfficeClip 10.5.1. If you are using OfficeClip online, your do not have to do anything, the upgrade is automatic. If you are using the installed version you can download and install the latest version from our website. The latest release notes are available here. I will be posting more details of individual enhancements soon.